In recent decades there has been a significant reduction in the amount of tooth decay in the Western World. The number of fillings performed on both children and adults has reduced dramatically, as has the number of teeth lost as a consequence of tooth decay. A large part of this improvement in dental health has been attributed to the use of fluoride. Fluoride is found naturally in all sources of food and water. Although the amounts can vary significantly they are often less than are known to be optimal for dental health. This is why fluoride may be added to dietary sources including the public water supply, milk, or salt, and to specific dental products including toothpastes, mouth rinses, drops and tablets. It is even added to some brands of dental floss. It is incorporated into the structure of the teeth during development, making them more resistant to the decay process. It helps to reverse the decay process. It interferes with the ability of the germs (bacteria) in dental plaque, the sticky substance present on the tooth surface, to produce acid and cause decay. This is why it is important that the optimal amounts of fluoride should be available to both children and adults alike, preferably from early childhood in order to derive the greatest benefits. The most common side effect is known as fluorosis. This is a discolouration of the teeth caused by exposure to relatively high amounts of fluoride whilst the teeth are developing. The discolouration may range from small white flecks in mild cases to unsightly brown stains that can be very distressing, often necessitating cosmetic intervention. Studies have shown that the optimal level of fluoride is approximately 1 part per million (i.e. 1mg per litre of water). It is therefore important to be aware of the total amount of fluoride to which children are exposed from all sources in order to derive the greatest protection and minimise the risk of fluorosis. Fluoride is used in dentistry both as an aid to prevent tooth decay (dental caries) and also to treat it. The role of fluoride in preventing decay has been the subject of many studies on hundreds of thousands of people worldwide in recent years. One such study compared the decay experience of the population of South Birmingham where the water is fluoridated with that of a very similar one in Bolton, where it is not. There was a difference of approximately 40% in decay rates between the two cities, attributed solely to the fluoride added to the water supply. 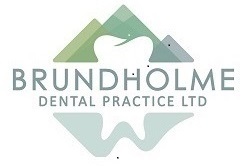 Dentists will be able to advise on fluoride and the prevention of decay, recommending which sources are appropriate. When early decay is present it can be treated simply with topical fluoride in the form of a mouth rinse and perhaps a special varnish that the dentist applies, combined with improved cleaning and a closer attention to diet. If a cavity has already formed there are materials incorporating fluoride that the dentist can use to help prevent the decay recurring. The normal recommendation for children under seven years of age is to brush with only a small smear of toothpaste applied to the toothbrush. This and a carefully supervised brushing routine are needed since children are prone to miss areas and swallow the toothpaste, especially if they like the taste! There are special children's toothpastes available that contain lower concentrations of fluoride. Water fluoridation offers some distinct benefits in delivering preventive dental care to all, irrespective of social class, background, age or occupation. However in the United Kingdom fluoridated water is the exception rather than the rule, unlike the United States where approximately 60% of the population receives fluoridated water. There are various reasons for this, including political and financial, together with a small but vocal minority who are opposed to it. Various claims are made by those who oppose water fluoridation, citing links to a range of conditions including Alzheimer's disease, cancer, kidney failure and bone disorders. However, studies have been conducted in populations living in areas of naturally high levels of fluoride, either equal to or above that recommended to prevent tooth decay, and no evidence of any adverse effects have been found. Other claims have been made relating to the source of fluoride used to fluoridate water, and even about fluoride contained in dental filling materials. None have been validated by reputable sources. The provision of any given treatment is founded on the assessment of the relative benefits and risks, based on current knowledge. Major national and international dental and health bodies including the British Dental Association, American Dental Association and World Health Organisation support the fluoridation of pipedwater supplies as an effective method of delivering preventive dental care to all. Where it is impractical to deliver fluoridated water, fluoridated salt is an alternative. Studies have shown that it can reduce tooth decay in proportions similar to that of fluoridated water. Too much salt however can be associated with high blood pressure. Another alternative, which is of benefit to children, is fluoridated milk. A recent report for the Trent Development and Evaluation Committee indicated that it would appear to have a role in the reduction of tooth decay. Fluoride plays a key role in the prevention and treatment of tooth decay, and has been responsible for significant reductions in this widespread and distressing disease over recent decades. Indeed it has been so effective that dental students in teaching hospitals located in fluoridated areas are unable to find enough people with decay to gain experience in filling techniques! We have seen how both the regular intake and correct amount of fluoride is important, especially for children.